Awakening: The Goblin Kingdom is a game about the morning after. You are about to explore what had happened while you were sleeping. 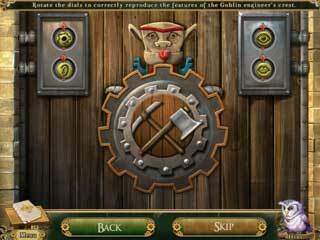 The game features a story and a goblin's kingdom to explore. The kindom is full of puzzles and all kinds of stuff to interact with. The game tells you kind of a sad story with the obstacles you are to overcome, but in reality the game isn't that dark and creepy. You follow the princess who was sleeping for too long. Okay, it might have been not her fault, but still. As she woke up all the humans were gone long ago. Trying to find out what had happened she went to the Goblin Kingdom. Things weren't that great over there either. Then the story slowly unrolls before you as you interact with the local characters and proceed in your journey. The game tells you kind of a sad story with the obstacles you are to overcome, but in reality the game isn't that dark and creepy. Everything looks rather friendly and fairytale-style. You are going to spend your time here on interacting with the items and solving all kinds of puzzles. The puzzles are not very challenging. So the more experienced gamers might want to choose the more difficult mode. The interactive adventure part is not crazy difficult too. But just in case you are stuck, and don't know what to do, there are hints available. The game in general seems to be more appealing to the younger gamers. There isn't explicit horror scenes too. All that makes the game children-friendly. The game isn't bad or anything, but it may be a bit easy and not eerie enough for the fans of those ingredients of the adventure games. 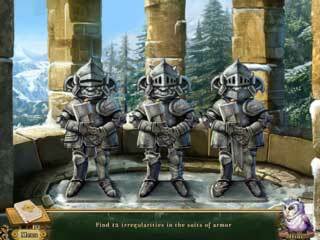 This is Awakening: The Goblin Kingdom CE for Mac OS review. Download this game here.